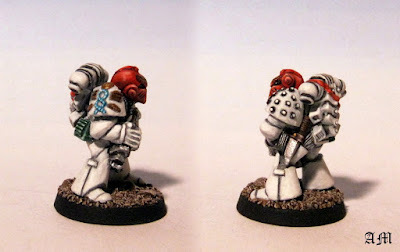 Space Marines were definitely a different breed back then: a lot less like walking tanks and more like elite soldiers, and the sculpts reflected that. More personality, fewer skulls and purity seals. And we walked uphill to school, both ways, it was a golden age, etc. Anyway, I bought this guy for cheap on eBay many years back, a satisfying score. His backpack is from the remnants of the old plastic "Beakies" set I keep in my bitz box. He might not be my best work ever, but I think I captured that old White Dwarf painting style pretty well. "By the Emperor, I think it might be too late for this one..."
I feel like I might have owned this guy at one point. It's hard to know thought, there was so much staring at the awesome figs you *WANTED* that maybe my mind is making it up. 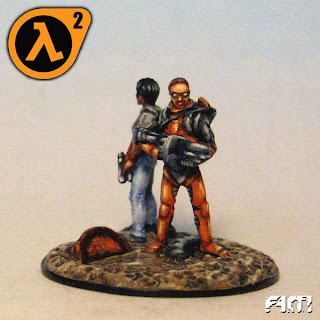 Some of the old RT minis seem to have fairly small weapons (and in this guys case, massive hands). Is it relative to the ridiculous oversize these days? Or proportionately small? As a youth with cash in short supply and only my local hobby shop for access, I always saw these great pics of cool Citadel figures that I'd never seen IRL and wanted. 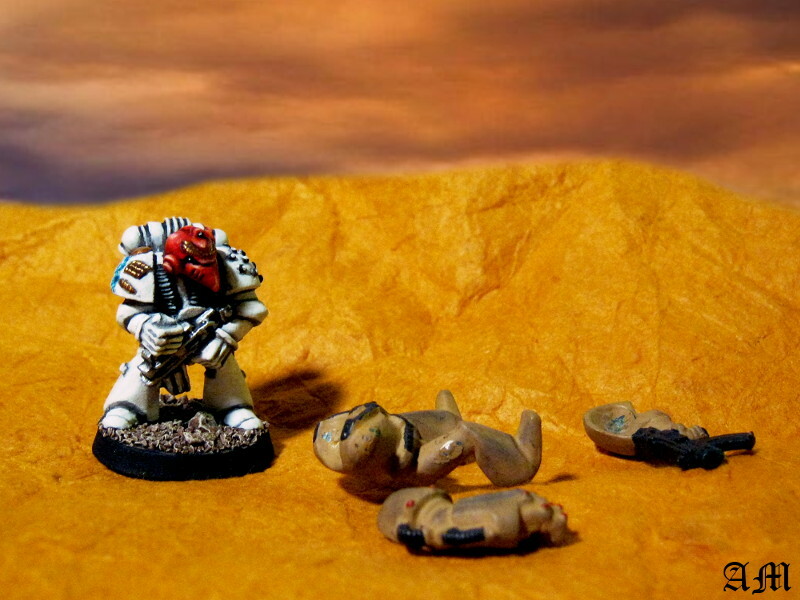 I was lucky enough to find a handful of various good ones online over a decade ago, including this guy and a few other Chaos oddities, as well as some other Marines. They really do have a certain charm of the time, as well as nostalgia value. As for proportions, this guy at least really does have enormous hands. But bolters were smaller back then too. Wonderful job on this true classic! He looks like he came from an old White Dwarf issue. Congrats! Beautiful work. That one is a little treasure and you made him justice, I love it! Olde Plastic Beanies, champ's breakfast! Truly stuff of legends. Those are right my cup of tea and can't hardly imagine them in any other chapter colors than crimson fists. Maybe blood angels. Just maybe. Your work here oozes late 80s / early 90s style. Beautiful work, the base emphasize s the effect tbh. *meant olde Plastic Beakies © Kellogg's. 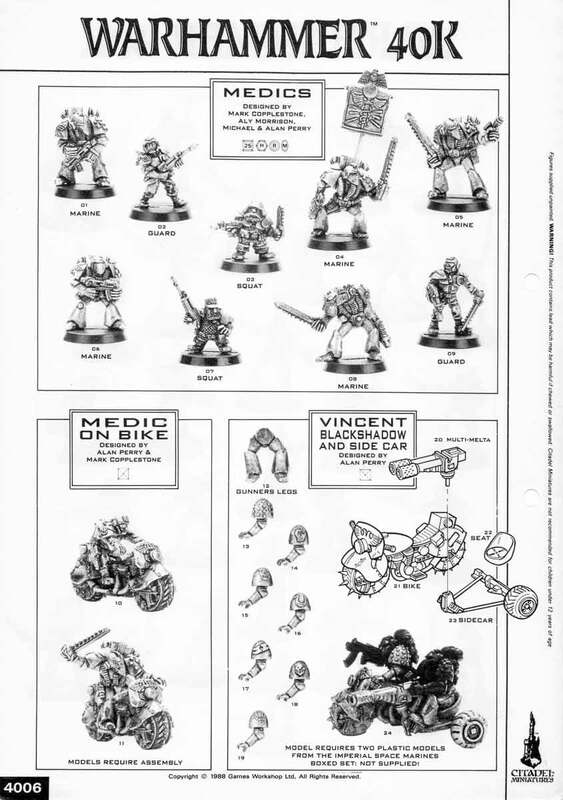 Citadel's very first 40K sprue and far superior to the 2nd edition one, if you ask me. Somehow I still prefer these guys over all the generations of marines that could after them. The way you paint looks perfect on him, lovely work! Every day's a good day when you paint. © Allison Mackay 2014, except the stuff that's © someone else.